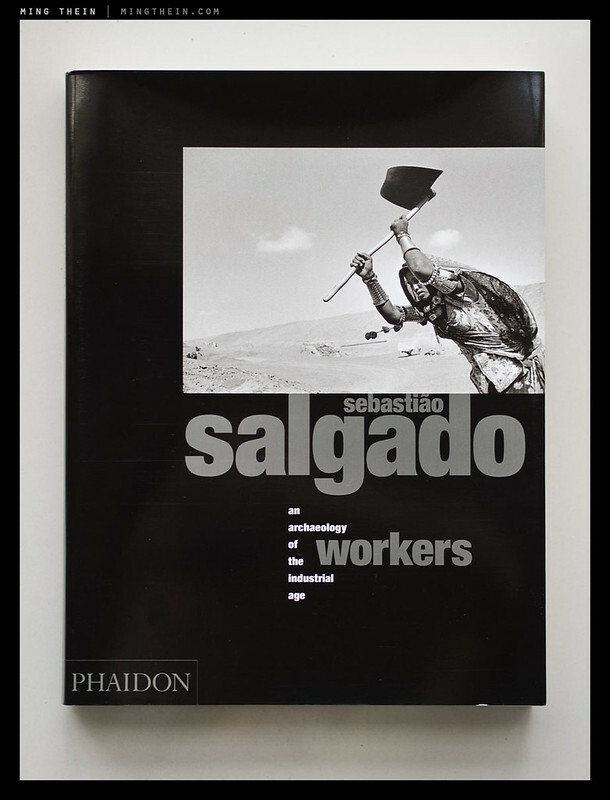 One of my favorite photography books of all time is Sebastiao Salgado’s Workers, published by Phaidon. There are various printings around – some hard cover, some soft; the one I have is soft cover with a dust jacket. I actually find these easier to read, but I do worry about the long term durability of the bindings. Groups of pages are stitched together then held in a glued matrix at the spine – this kind of binding has given me some issues in the past, if the quality of the glue isn’t up to par. But I digress. The book is about the photographs, and to a lesser extent, the printing; not the binding. Salgado has a preference for megaprojects – photographic assignments that last for years, or decades, rather than mere days or weeks; his latest and final project, Genesis, begun in 2004 and supposedly nearing completion. 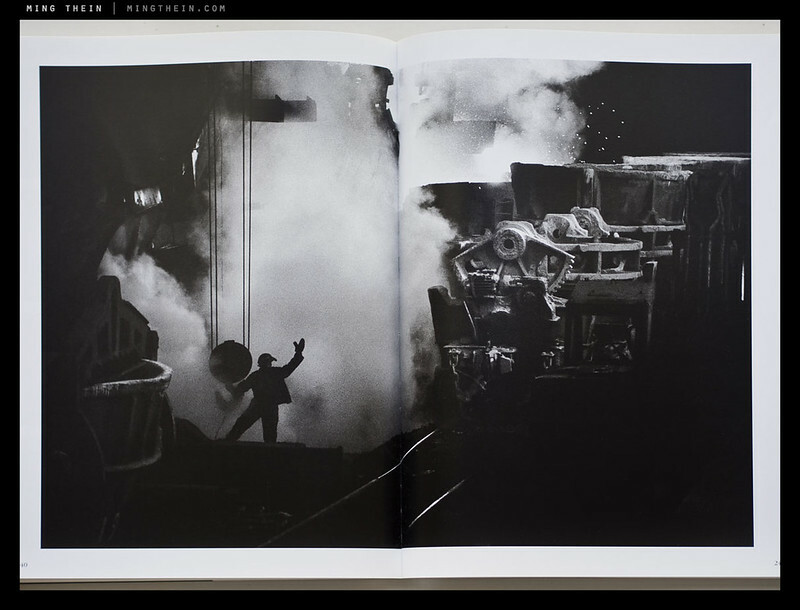 Workers was shot on medium format and Leicas; he has recently switched to a digital capture workflow, however, physical negatives are made from the select files and printed the old-fashioned way – which undoubtedly contributes to how his images have such a unique look. That look – best described as tonally rich, with well-executed dodge and burn in the highlight and shadow quarter tones – is extremely distinctive, and highly textural. You can usually tell at a glance if an image is a Salgado. What elevates Salgado into the great photographic pantheon is his ability to combine perfect presentation with perfect framing, dynamically strong lighting and emotionally arresting subjects – each image provokes an emotional reaction in the viewer – anger, hope, pity, awe, fear – sometimes all at once, even. The content of Workers is very much encapsulated in the title – it’s a look at the people who keep the great economic machine turning over; curiously, there’s very little seen of the ‘managers’ and clerks; you get the impression that he either doesn’t think they’re worth bothering with because they do little to no real work. The reality is probably a mix of that, and the fact that piles of paper and meeting tables in faceless offices don’t typically make arresting photographic subjects. What you do get is a very intimate view into the spectrum of physical labor – from sulfur mining with bare hands to the construction of the Channel Tunnel. Nothing is clean and industrialized, perhaps with the exception of an auto production line; Salgado’s images portray reality: dirty, oily, textured and visually stunning. 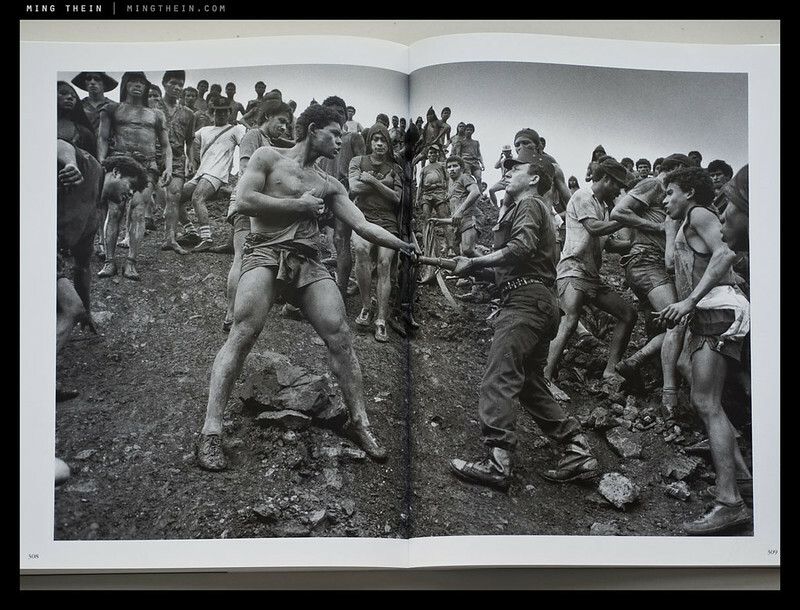 The book itself contains several hundred images in black and white – I don’t think Salgado has ever tried working in color – there’s very slight bronzing to the printing, but I personally feel it adds to the overall look and feel of the images. I’ve had the privilege to see original prints at the Tokyo Metropolitan Museum of Photography, and feel these are very authentic indeed. The density of printing is also excellent, with blacks being extremely deep and the rich tonal variations faithfully reproduced. There are also numerous foldout pages for larger subjects. 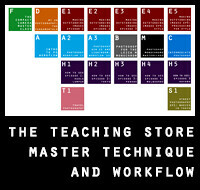 If you enjoyed this post, please consider supporting the site via Paypal (mingthein2@gmail.com) or via Ming Thein’s Email School of Photography – learn exactly what you want to learn, when you want to learn it. You can also get your gear from Amazon.com clicking through this referral link. It doesn’t cost you any more, but a small portion of your purchase value is referred back to me. Thanks! I know this is an older entry, but anyone who stumbles into the comments should also check out “Salt of the Earth.” It’s on DVD, it’s streaming on some major services, and it’s making the rounds on the pay TV networks (like Showtime in the U.S.). The film is a walk through Salgado’s life and work. It’s worth owning for inspiration. He’s awe-inspiring. Seen it, but thanks for the tip! How is a negative made from a digital file please? It’s a fascinating concept to me! I love printing the old fashioned way but have to admit sometimes my digital cameras can do stuff my film ones cannot, and digital printing is such a headache. I don’t have delusions of Salgadoness, just interested in the process. So sorry, no definite answers, just a list of potential options. PS. I didn’t mention early, that there were two other suggestions as to why he switched from digital, not just the x-ray degradation ie. Weight (he shoots a LOT of film in each project), getting through Customs – which understandably became a more significant and time consuming dilemma for him after 9/11 and the last one was that the films themselves have started to change with a lower silver content (makes sense with the price of silver), changing the tonality somewhat. That’s an awesome amount of information – thank you! Thank you DamenS. Some Sunday reading for me to get on with. Just one more example of your good taste Ming (good taste meaning “taste which agrees with mine” of course !). Salgado has an extraordinary body of work and I find so many of his images entirely haunting and full of impact. I don’t think I’ve experienced quite the same thing from any other photographer over quite the same breadth of work. Obviously, taste is a personal thing, but I would like to give a strong seconding to this book recommendation. PS. Embarrassingly enough, early days I almost bought myself a new Leica R6 – with the knowledge that buying the same camera as him would make me a photographer as good, if not better (ah, the folly of youth – and don’t laugh too hard – we’ve all been there to a greater or lesser extent) ! For much of his famous work, Salgado used three Leica R6.2 cameras (whilst he had “Leica M” cameras, he primarily used the SLRs) one with the Leica 60mm Macro and one with a Leica 35mm and one with a Leica 28mm. 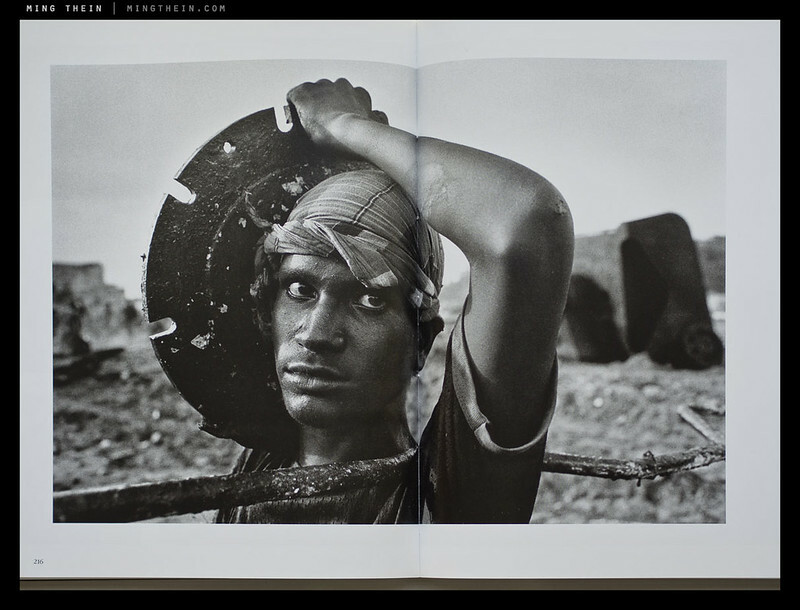 I had always thought of 60mm as being too short for portraits, till I saw Salgado’s “environmental portraits”. He used Kodak Tri-X almost exclusively (buy it while you still can, folks ! ), with the occasional foray into T-MAX 3200 for low light situations. Whilst he was shooting “Africa” (his project prior to “Genesis” listed here), he wanted to print big, so he switched to the medium format camera. He chose Pentax 645 because the low-contrast Pentax lens matched the characteristics of the Leica lenses he used (which were older “Mandler” designs I guess). Due to the amount of film he shoots and the difficulties in clearing customs and potential degradation from the x-rays etc. he then tried a Medium Format digital back briefly but found it unwieldy. He switched to Canon digital (one of the 1ds versions). I believe this choice (over Nikon for any fan boys of either “side”), was also primarily a “lens” decision, though I’m unsure whether he felt the Canon lenses were lower contrast (and hence similar to his other lenses), or whether he felt Canon had a better range of EF primes (which they certainly did at the time – Nikon is now slowly rectifying this – though he wouldn’t seem adverse to manual focussing F lenses, so who knows – Zeiss primes and Leitax conversions wouldn’t have entered the equation back then). As Ming mentioned, a negative (I’ve heard 645) is made from any selected digital files after his assistant has made contact sheets of all his work. This means Salgado can still use the Master Printer he has used for all of his projects (I’ve forgotten his name – he’s based in Paris) to make a print. Salgado is not interested in/trained at Printing himself (would he even have time ? ), so some of the credit for the look of his works must go to this Master Printer (and the assistants who now translate his digital files into a “Tri-X” look). Hope this was informative rather than boring and is of some interest to some of you ! Hi DamenS. Definitely definitely definitely interesting information! Always love a bit of history of “behind the scenes”. For me it is never about the camera (though i do lust for lenses etc). Camera system providers leap over each other on a monthly basis keeping up good stiff competition, but understanding reasoning behind decision makes you feel like you know those artist better. Trying to ‘get to peek into his mind’ so to speak. Well done and many thanks. Mr. DamenS, how very interesting. Thank you for the background information. Not that I don’t appreciate the photographer who does everything himself from shooting, to developing and printing, but I think it as wonderful when a photographer collaborates with a printer. What counts is the end result but knowing about the process is nonetheless fascinating — as getting behind the scenes enhances one’s pleasure and sometimes, but now always, broadens one’s understanding. A thing can be appreciated on many different levels. And Ming, thank you too for your continuing book reviews and commentary on other photographers. Salgado corroborates my opinion that aesthetics, indeed beauty of form, is integral to art. As a great writer can write about the life of bored person without boring the reader, a great photographer can show a brutally ugly scene in a beautiful way that makes the appalling subject all the more powerfully felt, as Salgado proves. I have worked as a labourer in grueling conditions in ugly surroundings — and I know that one can find always find a way of seeing that mines the beauty in any condition (extreme cases, memoirs of concentration camp survivors). Please understand that by “beauty” I do not mean a denial of hurt, suffering or mindless, ordinariness that may pervade the reality. Briefly stated, great art transcends the specific experience of the individual to the universal that connects all of us. Great review, Ming. Salgado is one of my favorites too. Aha. I just saw this. Thanks for the detailed background info! Not that this really matters, but Salgado used to carry three cameras—two Leica M cameras (one with a 35mm, the other with a 28mm lens), plus one R6.2 with a 60mm macro and a rarely used 80~200 zoom. He was indeed a M shooter. Haha. I think he’s the only photographer who’s won the Oscar Barnack Award multiple times. Eagerly awaiting his Genesis project images. I might be wrong, but if I’m not mistaken, there was a time when he was using Leica Ms and more recently, a Leica 1DsIII and Pentax 645NII – but I suppose it really doesn’t matter what he uses – the images more than speak from themselves. Hi Ming, where can i get this book in KL? Kinokuniya? Thanks! I got mine from Amazon (try my referral link!) – but Kino might be able to get it as a special order.